Troycole Kennels is situated in Newcastle. We have been breeding and exhibiting dogs for over 30 years. 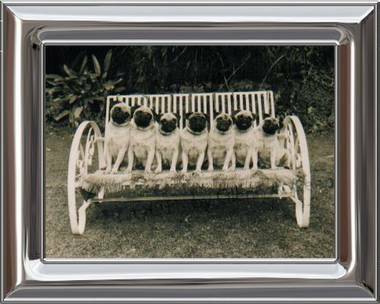 We have been involved with Pugs for 17 years and in this time have been very successful with our breeding program and in the show ring. In our 17 years of being involved with the breed we have owned or bred 43 Australian Champions and 2 Grand Champion. We have had many BEST IN SHOW & CLASS IN SHOW winners at All Breeds and Speciality Shows under International and local judges. Take a look at our Speciality winners. Our pugs are shown by our daughter Lee-ann Johnson, Kylie Morris and Olivia Standen. If you would like any information regarding our Pugs please contact us.